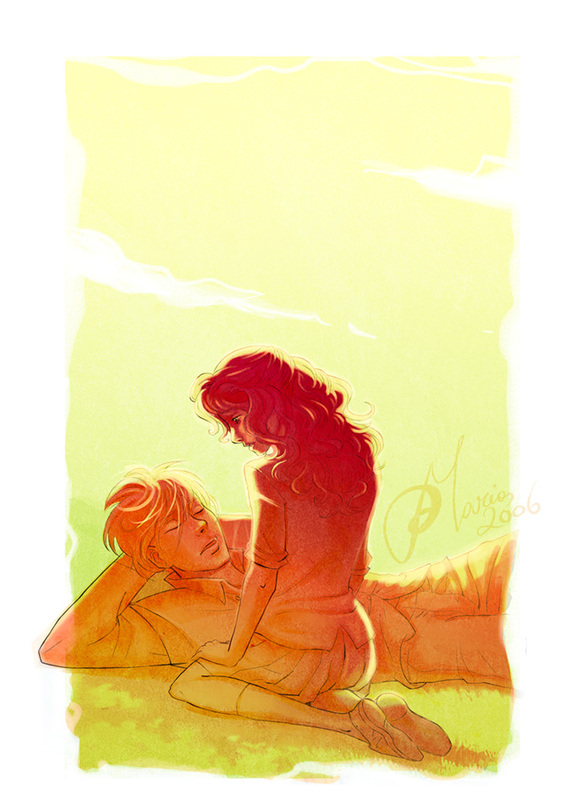 "Sunset". . HD Wallpaper and background images in the romione club tagged: ron hermione romione harry potter fan art image mary-dreams. whoever drew this is really good! !